Many dog owners are flocking to natural homemade food for their pups, especially since store-bought products contain preservatives and other unnatural ingredients that can give dogs allergies and other health problems. Now you can spoil (and nourish) your pampered pooch with only the best ingredients. 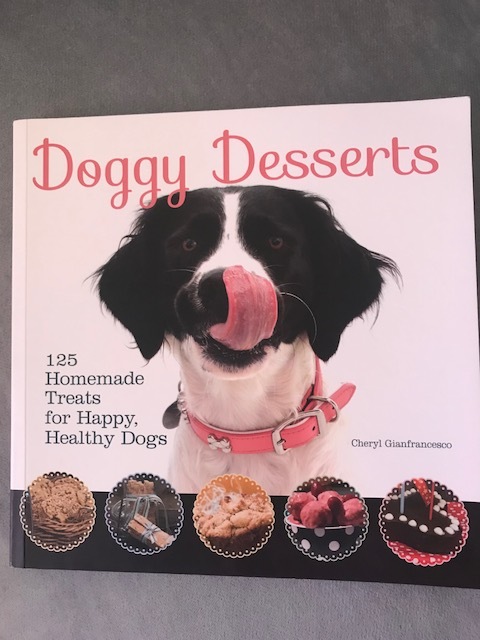 In the new book DOGGY DESSERTS: 125 HOMEMADE TREATS FOR HAPPY, HEALTHY DOGS by Cheryl Gianfrancesco, dog owners can rest easy knowing they are providing their pooch with a snack made with only the healthiest of ingredients. This beautiful book presents easy-to-prepare, fun recipes divided into six categories: cookies, bars, drop cookies, cakes, muffins and frozen treats. You’ll have fun with this one! For dog owners who are concerned about controlling what’s in their dog’s food or who are looking to find low-cal, low-fat options for their slightly plump pups, DOGGY DESSERTS provides many tasty options. 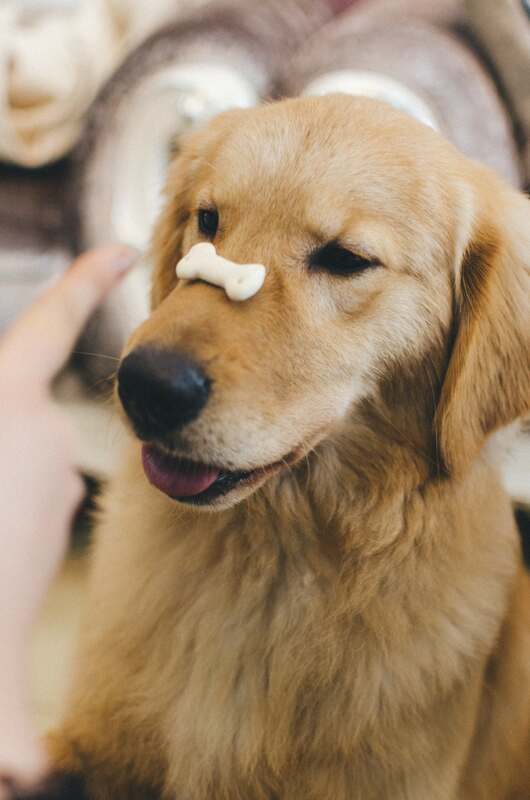 From carob peanut butter crunch balls, sweet potato biscuits and liver oatmeal bones to granola bars, apple sauce spice cake, and watermelon dog sherbet, trust me when I say that pet owners will be tempted to try each of these delectable desserts themselves before serving them to their dogs. This cute and colorful book is filled with photographs that pop and bring all of the recipes to life. DOGGY DESSERTS makes a cool and much-appreciated gift for any avid dog-lover. It’s a scrumptious, canine cookbook.